Clawdeen Wolf is wearing a top, circle skirt, straight skirt over skirt, and wrap around collar. Barbie is wearing a top, shoulder straps, straight skirt and belt. 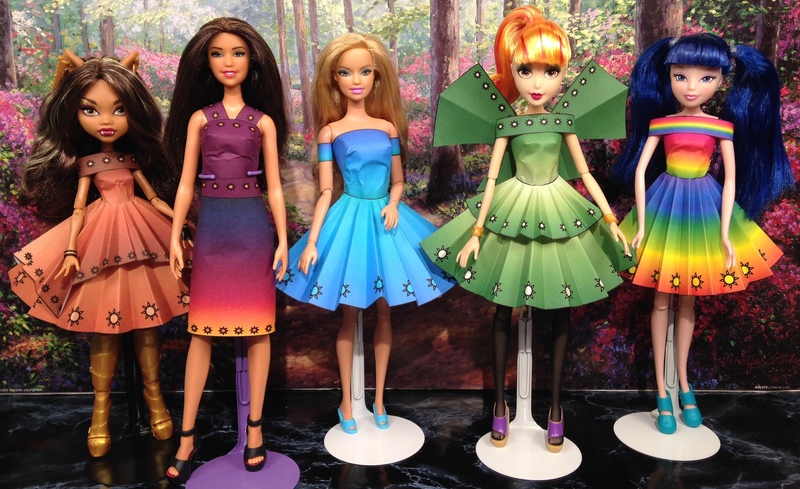 Fashionista Barbie is wearing a top, circle skirt, and cap sleeves. Fairy Tale High Little Mermaid is wearing a top, circle skirt with small circle over skirt, wrap around collar and wings. Musa is wearing a top, circle skirt, and wrap around collar.